ROCHESTER, N.Y. -- The Red Wings 3rd Annual Golf Night is Tuesday, August 7 and it's sure to be the BEST one yet! Of course, our popular post-game closest-to-the-pin contest is back. Fans wishing to participate can sign up at our table in the Main Breezeway during the game. Prizes for this year's contest include tickets to the 2019 Senior PGA Championship at Oak Hill. For the first time, WNY PGA professionals will be here offering short golf lessons to all fans who are interested for FREE. Fans will be able to take full swings and hit real golf balls during the lessons. 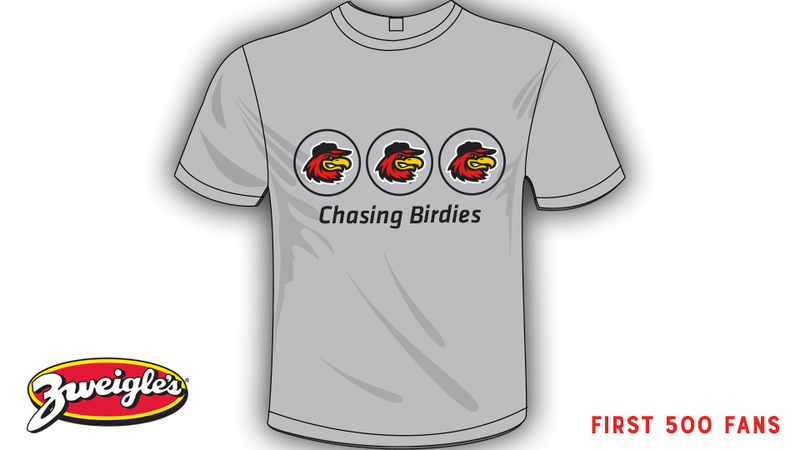 The first 500 fans through the gates will receive this "Chasing Birdies" t-shirt presented by Zweigle's. 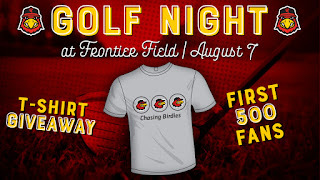 Other aspects of the night include a mini golf challenge, plenty of video clips from Happy Gilmore (& other golf movies) and a photo opportunity with the Senior PGA Championship Trophy.